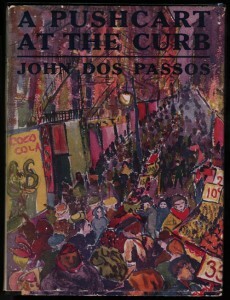 The Papers of John Dos Passos at the University of Virginia Library present a vivid chronicle of the author’s activities, thoughts and literary skills as he analyzed, reported on and criticized the turbulent events of the 20th century. 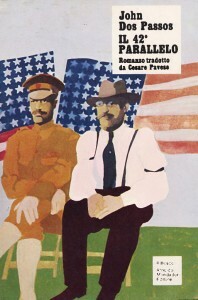 Dos Passos, identifying with the leftist radical sympathies of the post-World War I period, experimented in expressing these sentiments with innovative writing techniques in some of his most important and successful works: One Man’s Initiation (1917), Three Soldiers (1921), A Pushcart at the Curb (1922), Manhattan Transfer (1925), the trilogy USA (The 42nd Parallel, 1930; Nineteen Nineteen, 1932; The Big Money, 1936), and The Head and Heart of Thomas Jefferson (1954). The collection is a consolidation of gift and other acquisitions received during the period 1958-1999 from John Dos Passos, his wife Elizabeth Holdridge Dos Passos, his daughter Lucy Dos Passos Coggin and from a number of friends and associates that include: Thomas Pym Cope, Mrs. Lloyd (Marion) Lowndes, Mrs. Harold Weston, Connie and William White, Edmund Berkeley, Jr., Charles W. Bernardin, Jack Diggens, Kenneth C. Duckett, Philip L. Gerber, Townsend Ludington and Ray Lewis White. The major portion of the papers is comprised of manuscript material (published and unpublished) of most of his novels, plays, poems, articles, speeches, lectures, readings and his reportage on history, politics, society and travel. Included are corrected and uncorrected typescripts, galley and page proofs, notes, outlines, related research material and an extensive assemblage of publisher and literary agent correspondence. Of particular interest are his diaries and notebooks filled with recorded observations, thoughts, verse and sketches that may have served as the basis for some of the character development and themes found in his published writings and in his works of art. Another large part of the collection contains letters written to him over his lifetime from close friends, literary associates and random correspondents which comprise a narrative, of sorts, of the conflicting political, social and cultural ideas that he and the other members of the so called “expatriate lost generation” grappled with in the period between the two World Wars. Letters from his close friends and literary associates include, among others, those from e.e. cummings, Ernest Hemingway, John Howard Lawson, Archibald MacLeish, Walter Rumsey Marvin, Gerald Murphy, Dudley Poore, and Edmund Wilson. The balance of the collection consists of Dos Passos family papers, along with a small assortment of other miscellaneous material. The family papers contain correspondence Dos Passos exchanged with his parents, with his wife Katharine and with other collateral relatives. 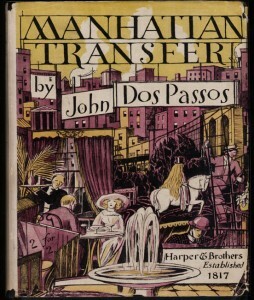 Included among Dos Passos’ personal papers are financial, legal, and household data; mementos of his awards and honors; originals and copies of his drawings and paintings; articles and newsclippings about his life and his writings; and a collection of photographs of his childhood years, portraits and snapshots as a young adult and a chronology of family photographs of the period 1950 through 1960. The guide to the Dos Passos Collection is available online. 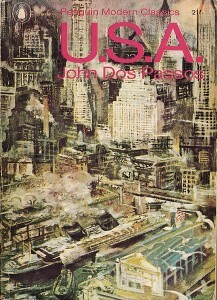 In later years, Dos Passos turned from the radicalism of his youth. 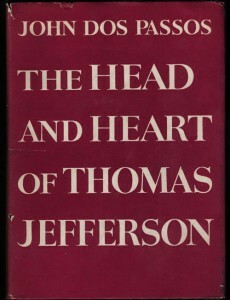 He settled in the family home in Westmoreland County in northern Virginia with his wife Elizabeth Holdridge Dos Passos and their daughter Lucy where he continued to pursue, with his characteristic vigor, the engagement of his new found political and social ideas into his writings, lectures and speeches. He died on September 28, 1970 and remains as one of the pre-eminent writers of the 20th century.